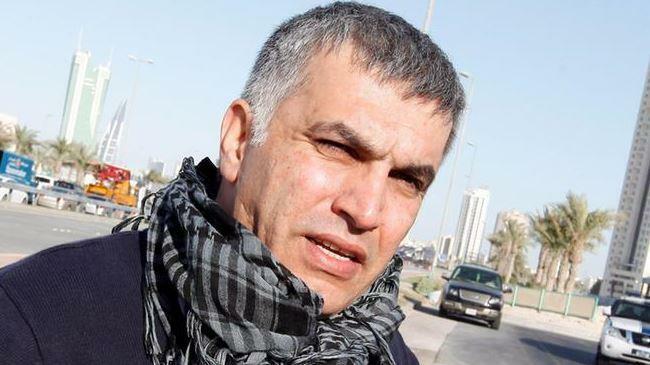 JNN 26 Dec 2014 Manama – Bahrain’s prominent human rights activist Nabeel Rajab said the UK is following the same strategy in Bahrain that it used for the creation of Israel. Rajab, the head of Bahrain’s Human Rights Center, stated that Britain is secretly implementing a series of plans to change the demography of Bahrain. According to Rajab, the fact that Bahrain is bringing in foreigners and sending locals into exile provides proof that such plans are being implemented. He said that Britain did the same thing in Palestine, which eventually led to the creation of Israel, Media reported. Rajab also said there is an unwritten deal between Britain and Bahrain to suppress the popular movements in the Persian Gulf state. He noted that Manama allowed the British military to set up a new base in Bahrain as a token of gratitude for London’s support for the dictatorial Bahraini regime. Earlier this month, Britain signed an agreement in Bahrain to expand and consolidate its long-term naval presence in the Persian Gulf region despite the Manama regime’s ongoing crackdown on public dissent. The Arab sheikhdom, which has been witnessing bloody anti-regime protests since 2011, also hosts the Fifth Fleet of the US Navy. The base provides protection to the Bahraini royal family and also ensures the US dominance in the oil-rich region. Thousands of anti-regime protesters have held numerous demonstrations in the streets of Bahrain, calling for the Al Khalifa royal family to relinquish power. Many Bahrainis have been tortured or killed and hundreds more injured and arrested in the regime’s ongoing crackdown on peaceful demonstrations. This entry was posted in Middle East and tagged Bahrain, Britain, British Naval Base, conspiracy, Population, US 5th Fleet. Bookmark the permalink.